According to Benzema, Real Madrid are still favourite to win this season’s Champions League trophy despite losing their all-time highest goalscorer, Cristiano Ronaldo to Juventus in the summer. 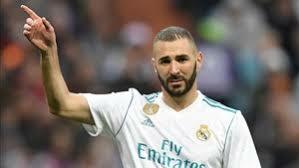 “This competition is another level, all the matches are important, there is no easy one, and it’s one thing I like: Real Madrid is the best club in the world, every year you have to succeed,” Benzema told Codere, per AS. Real Madrid kick off the defence of their European crown on Wednesday when they host Roma at Santiago Bernabeu, and Benzema is wary of the talents of the Italian club.